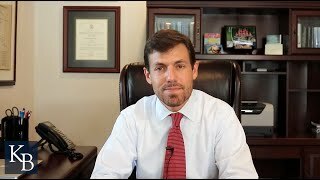 There are a lot of stereotypes about Columbia personal injury lawyers, and deservedly so. However, we try to be just the opposite. At my firm, we welcome you in as part of the family, and treat you as one of our own. We accept only a limited number of cases each year because we want to ensure you receive the time and attention you deserve. 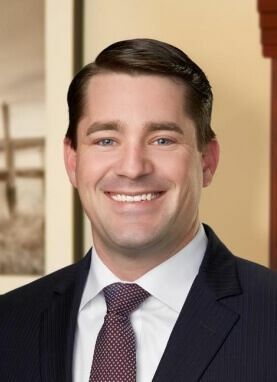 When you are injured in an accident in South Carolina, you don't just need a lawyer—you need a trustworthy advocate and confidant who will understand the physical pain and stress you are experiencing. You need someone whose only interest is your best interest. 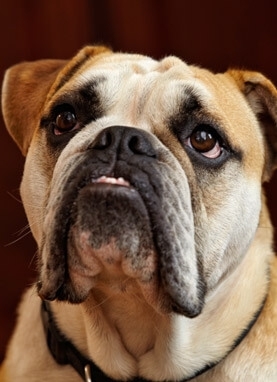 I do not believe in charging clients a fee if they receive no benefit. For that reason, I handle all cases on a contingency fee basis, meaning you do not pay anything unless I recover money for you. I understand that the legal aspects of your case may be unfamiliar, which is why I have filled my website with educational information. Whether or not you're ready to speak with us about your accident, you are more than welcome to browse my article library, blog, frequently asked questions, and news articles. You are also invited to request free copies of my books, Your Guide to South Carolina Personal Injury & Workers' Compensation and Safety First, Justice Always: Your Guide to South Carolina Auto Accident Law. Ready for your free case evaluation? 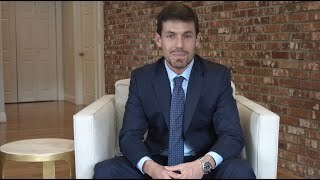 Contact my Columbia, SC personal injury law firm today at 803-790-2800. 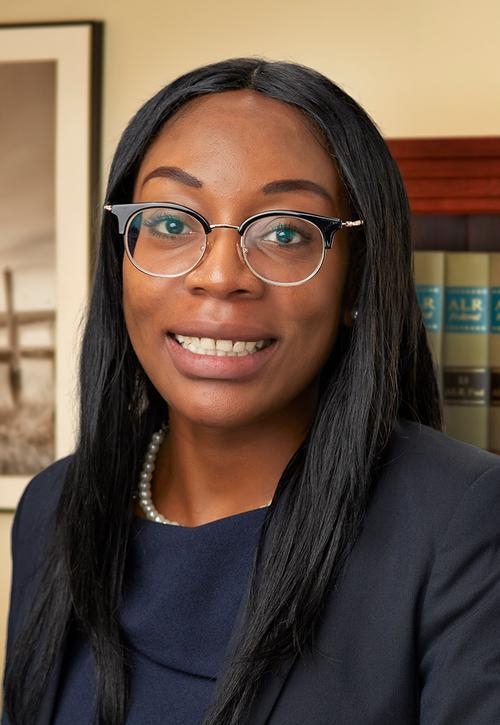 Auto Accidents: If you were injured in an auto accident that was caused by another person, we will seek to obtain the compensation the law says you deserve. This includes individuals involved in DUI crashes, head-on collisions, and even pedestrians who were hit by a car. Bicycle Accidents: Even when a bicyclist is following the rules of the road, it is not uncommon for someone operating a motor vehicle to act negligently and hit the rider. Boating Accidents: There are many beautiful lakes for boating in the area, but some boat operators fail to remember that distracted driving and drunk driving are just as dangerous on the open water. Motorcycle Accidents: Columbia motorcycle accidents can be especially catastrophic simply because there's little to protect a motorcycle rider from other vehicles or the hard, unforgiving pavement. Truck Accidents: One of the most frustrating parts of dealing with a truck accident is negotiating with aggressive insurance companies. Don't deal with these insurance adjusters on your own—contact Kenneth Berger. Workers' Compensation: Whether you are a nurse, police officer, construction worker, or factory employee, being injured at work can be devastating. Many injured workers don't know how to deal with the workers' compensation system and don't want to lose their jobs. Traumatic Brain Injuries: One of the most frustrating parts of suffering a TBI is that many people don’t understand or appreciate your “hidden” injury. 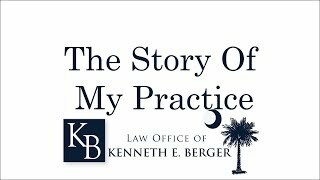 The Law Office of Kenneth Berger provides TBI clients with the understanding and 1-on-1 time they need most. Burn Injuries: The pain following a burn injury can be immeasurable and life-changing. My firm's job is to make sure the insurance company understands the effects of the injury on your life. Defective Products: When we purchase products, we trust that they are going to work properly. When that product is either defectively designed or defectively manufactured, you and your loved ones are at risk of severe injury. Injuries to Children: If you are a parent, you may feel outraged or lost when your child is injured. My firm is committed to protecting the interests of injured children and will do everything we can to ensure justice. Nursing Home Abuse: The decision to place your loved one in a nursing home is hard enough, but when the facility you have entrusted to care for that loved one acts negligently, serious consequences often follow. I will fight for the injured nursing home resident and attempt to make sure the responsible individuals won't be able to hurt anyone ever again. Wrongful Death: The sudden loss of a loved one is devastating. I am committed to helping grieving families in Columbia pursue accountability and compensation from the people whose reckless actions had fatal consequences. Every day I work toward achieving the best possible results for my clients. The moment you walk into my office, you will be greeted with respect. Our commitment to your best interest does not waver—even after your case comes to an end. Due to that fact, many former clients have become close friends. 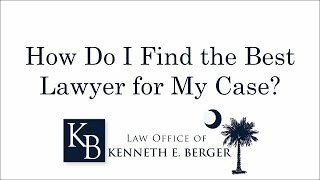 Call the Law Office of Kenneth Berger today for a free case evaluation at 803-790-2800. 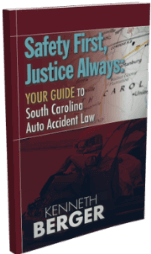 You are also invited to request free copies of my books, Your Guide to South Carolina Personal Injury & Workers' Compensation and Safety First, Justice Always: Your Guide to South Carolina Auto Accident Law. 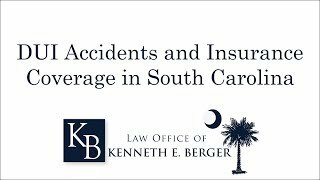 The Law Office of Kenneth Berger serves accident victims throughout the state of South Carolina, including Columbia, Lexington, Orangeburg, and Sumter. Personal injury victims in SC may pursue compensation through a lawsuit or workers’ compensation claim. Learning how these processes work is crucial to success. Victims of car crashes in South Carolina typically have many pressing questions. This free book provides the answers that you are looking for.